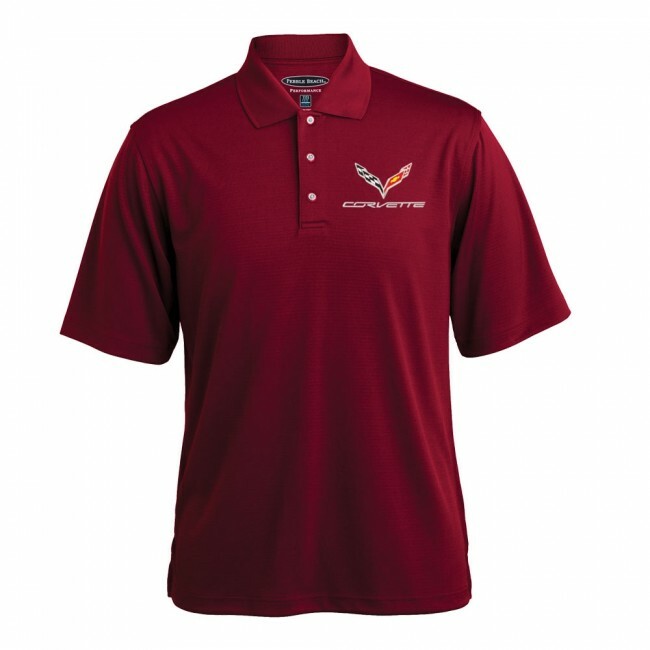 These polos have a subtle horizontal texture fabric with a smooth look and feel. 3-button placket, rib-knit collar and open cuffs. C7 crossed flags and Corvette signature embroidered on left chest. 100% polyester. Imported.